Yesterday we appealed for witnesses to a sexual assault which took place in woodland in Queens Inclosure, Waterlooville. We have since received a number of reports of similar incidents happening in this area and the surrounding areas, and have released an E-fit of a person we would like to identify and speak to in connection with our investigation. 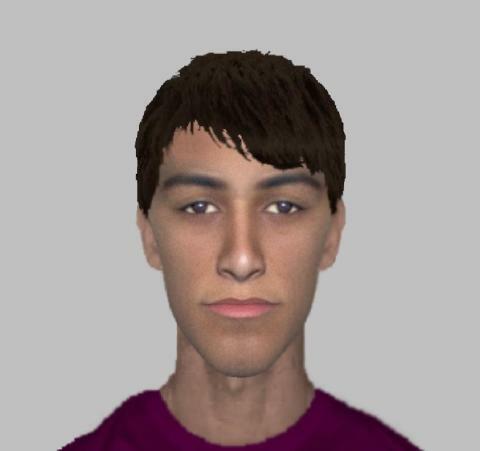 Around 2pm on Monday 6 August, a 19-year-old woman was walking through Queens Inclosure when she was followed by a man who made inappropriate sexual comments to her. The man hugged her and tried to touch her inappropriately over clothing. Around 2.20pm on Monday 6 August, a teenage girl walking her dog was approached by a man in the woodland who persistently asked for her telephone number. The man hugged the girl and inappropriately touched her over her clothing. Around 3.30pm on Saturday 4 August, a teenage girl was left feeling intimidated by a man who kept walking with her and asking for her number on Hart Plain Avenue. No assault took place. Do you recognise the person in the E-fit? If you think you know who this person is, or have any information that could help us identify him, please call us on 101. We are asking anyone who witnessed any of these incidents, or has seen a man acting suspiciously in these areas and surrounding areas to call us. Officers are particularly keen to capture any CCTV footage that could assist this investigation. Residents who have CCTV cameras which cover the area surrounding Queens Inclosure, and Hart Plain Avenue, are asked to review the footage – particularly for Thursday afternoon and Saturday afternoon. In addition to this, we request that members of the public do not speculate or discuss any information they have on social media. Please always contact the police in the first instance. We are continuing to take reports as they come in and officers are working with the victims to progress this investigation. Officers will be in the area speaking with residents and carrying out enquiries, and extra patrols will take place over the coming days as we continue to gather information and reassure people in this area. Chief Inspector Clare Jenkins said: “We have now received a number of reports of a man acting suspiciously, inappropriately, and in some cases sexually assaulting young women in Waterlooville. “All of these reports are being taken seriously and officers are working proactively to identify the person responsible. “If you live in this area and have CCTV footage which covers the areas where the offences took place, please take a look and if you see anything at all that you think could help please get in touch immediately. “We would ask that nothing, including footage or images, is posted on social media and is instead handed to the police. If you have any information, please contact us on 101, quoting 44180298470, or call the charity Crimestoppers anonymously on 0800 555 111.